Traditional House Coal is popular coal for open fires, and multi-fuel stoves. 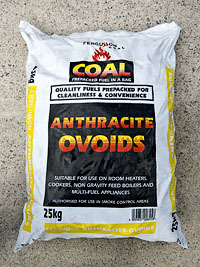 This coal is easy to light and burns with a strong, natural looking flame. 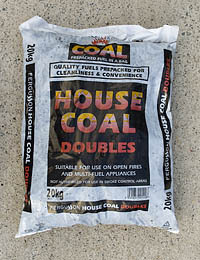 House coal has a low ash content which makes it relatively easy to clean up after. Anthracite ovoids which are long-lasting and emit a low flame. They are suitable for multi-fuel stoves, non-gravity feed boilers and cookers.